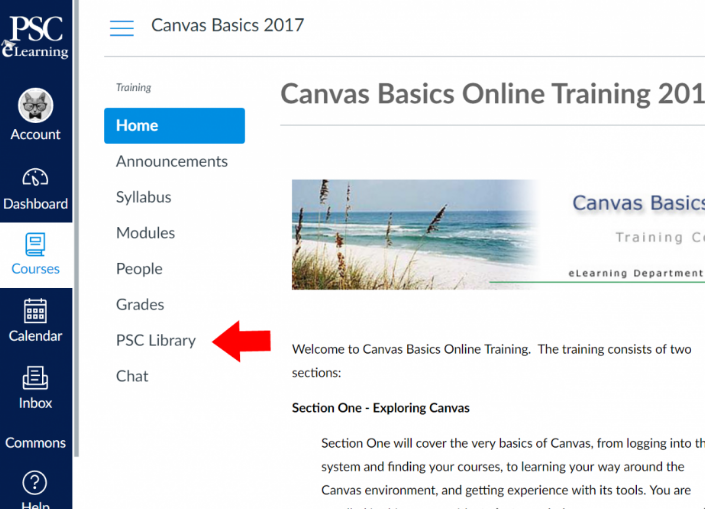 Log into your Canvas account here. Click into any of your class modules. In the left menu, click PSC Library. 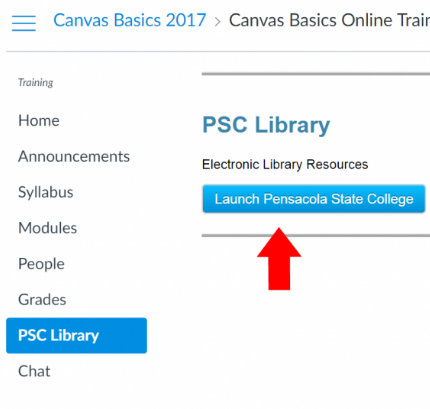 Click the Launch Pensacola State College button.